Marion Nestle, PhD, MPH, was called in 2011 the world’s second most powerful foodie, after Michelle Obama, by the Forbes Magazine. Her research focuses on the analysis of scientific, social, cultural, and economic factors that influence dietary recommendations and practices. Great promoter of the determinants on food security, of the advances in the science of dietetics and nutrition, the mechanisms that trigger and spread obesity and the crucial role of the food industry lobbies on health population. 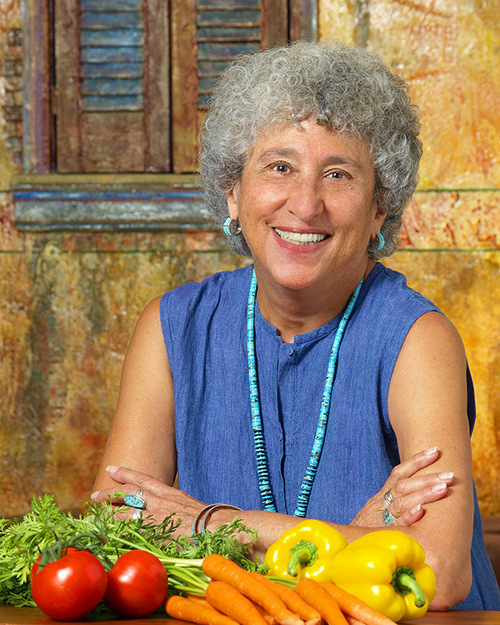 Marion Nestle enjoys a high credibility for his open and independent criticism with the largest food companies and opaque government health policies. 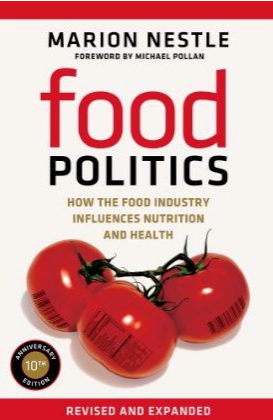 One of his best-known books is Food Politics, a benchmark for understanding how the food industry works, especially at the level of large corporations, and how they influence business dynamics in our health. Disseminates her thoughts through her blog Food Politics and twitters in @marionnestle. elPiscolabis has the privilege of interviewing Marion Nestle, one of the most influential voices in the field of nutrition worldwide. We want to present some of her views, clear and compelling. Thank you for your time, Marion. elPiscolabis: What’s the first thing you do when you wake up in the morning? What’s your usual breakfast? Marion Nestle: I’m not a breakfast eater, but I do like coffee in the morning. Spanish children’s obesity rate is similar to the US, even higher. We know the Mediterranean diet is losing popularity among our population. Do you think that the obesity rate can be reduced among children by just adhering to the Mediterranean Diet? I prefer policy solutions to obesity prevention and public policies that make it easier for people to make healthier choices. Obesity has a multifactorial causation: sedentary lifestyle, inadequate food consumption, lack of hours of resting/sleeping and genetics. Which one do you think needs priority of addressing? And please, state other reasons. You have left out the most important factors: food marketing and a food environment that encourages people to eat more food, more often, in more places, and in larger portions. That’s why policy changes matter so much. Food Politics, the Marion Nestle book that can not miss in the library of us concerned with feeding the population. As any other industry, food industry has a clear objective: economical profit. Regarding food, health authorities must protect and improve the health of the population. From a consumer’s point of view, do you think consumers have a too passive attitude towards something as important as food and health? What role can have consumer’s associations in this scenario? People make the ultimate decisions about what they eat but these are greatly influenced by friends, culture, and marketing. They can only make healthful choices if they have the knowledge, access, and money. Coca-Cola has launched a line of action aimed at addressing the company’s responsibility in obesity. Many soft drinks produced by this company aren’t exactly the paradigm of healthy drinks, even framed in a healthy diet. What do you think about this new selling strategy and other companies’ similar strategies? elPiscolabis talk about this here. The job of the sugary drink industry is to sell sugary drinks—as much to as many people as possible. One way to head off regulations is to appear to be doing the right thing. Soda companies are highly skilled at marketing and win prizes for the kinds of strategies you mention. In Spain, like in the US, obesity rates are higher in the lower social classes than in the higher ones, probably due to better access to private health treatments, information, and education and food produces, among other things. Do you believe that public health care providers are doing enough to stop obesity in your country? We do not yet have a public health care system firmly in place in the United States. The system that we do have focuses on treatment, not prevention. Once the new system gets going, everyone will realize that treatment is too expensive and that we need a better system of prevention. Do you play any sport or practice exercise regularly? Which one? If so, without arguing medical reasons, how do you think you could convince a sedentary person to be initiated in the daily practice of an active lifestyle? I live in New York City and do not own a car. My physical activity is built into my daily life, so I am lucky that way. What are your favorite food, drink and dish? I’m an omnivore. I love food. All food. Let’s talk about international health policy. The WHO and FAO, among other duties, indicate the way in which food policies must be implemented in the member states. Do you think the current model of representation and consultation is fair enough? If it were up to you, what would you change? WHO and FAO have no power except through leadership. They can’t make member states adhere to their commitments. Citizens must hold governments accountable. Health policies can be disrupted by political changes after elections. Do you think that a higher level of commitment and a little more consistency is needed to implement long term policies? Which country or countries would you say are doing better in this regard? Do you think the model of that country could be exported to other states? We in the states look to Scandinavian countries for leadership in matters of social policy. I’m not sure which health care institutions you are referring to or for what purposes but transparency always helps, by whatever means work. In the area of food and nutrition, what do you think is more dangerous: Information overload, with the consequence disinterest and confusion that sometimes generates, or ignorance? This is a false dichotomy. The real problem is that most nutrition information comes from groups with a vested interest in selling one product or another. Independent agencies don’t have the resources to get their more sensible messages out. If you have visited our country, you probably know the paella. It is the most famous dish of the Spanish cuisine and a paradigm of the Mediterranean Diet. As you may know, paella is rice cooked with vegetables (onion, tomato, pepper, artichoke…) and a little bit of meat (chicken, pork) or fish (especially shellfish), cooked with olive oil and spiced with paprika and saffron. I propose to use it as a practical example in MyPlat healthy dish along with a fruit for dessert. If you come again to Barcelona, you’re invited to eat a paella made by me (my family and friends say I cook very well) and to have a stroll through Collserola (a nearby small mountain), to have an exceptional view over the city. Thank You, Marion Nestle. Health & movement! According to WHO, the determinants of health are personal, social, political and environmental. The North American population has one of the worse perceived health status and quality of life among developed countries. Initiatives to promote health and prevent diseases are basically led by the private sector with clear commercial interests. Public institutions are influenced by food industry lobbies and pubic recommendations and guidelines reflect economic interests of the private sector. The information available to the public, about strategies and lifestyle habits to prevent the occurrence of diseases, is poor compared to the aggressiveness of the food industry marketing. European populations are better informed due to higher health system accessibility and relatively more independent institutions. In short, they are more informed populations. Ms. Marion Nestle laments the weakness of the American public health system and the power of marketing of the food industry that significantly influences decisions of individuals. Current health status of populations, clearly impaired by chronic diseases related to inadequate lifestyle (sedentary lifestyle, smoking and malnutrition) is a clear indication of the failure of our health system whose resources are focused on treating diseases rather than preventing them. Citizens must organize and ask their governments a shift of paradigm, as suggested by Ms. Nestle.